Geordie funny man Gary Colman is neither a small black midget nor the world's worst 'Diff'rent Strokes' tribute act but a critically acclaimed, fresh new stand-up comedian. 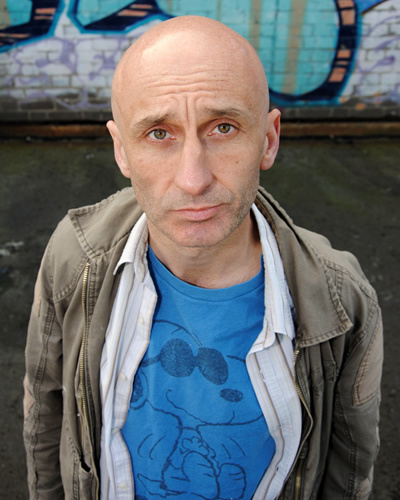 In 2009 Gary was finalist in three national new comedy awards (Hackney Empire New Act of the Year , TV Comedy Forum 'Future of TV Comedy', and Jongleurs New Act of the Year), won a best 'comedy actor' nominee ("my MacBeth ... hilarious") and became a performed playwright. In 2012 his first Edinburgh Show 'Still Rarely Rong' , a cute and heart-warming show about the disembowelling horror of family life, gained him 4 and 5 star reviews (see below for full reviews). He is currently previewing his 2013 follow-up show 'GRIND', another joyous, uplifting show about the crushing banality of life detailing his former career as reluctant hedonist and professional snowboarder. Gary is resident emcee at the well established monthly comedy night at The Fox Palmers Green and the monthly Edinburgh Preview shows at The Britannia Hackney. Gary is booked to close at many small independent comedy clubs plus smaller chains such as Laughing Horse, Chortle Factory and Ship of Fools Leicestershire. Gary is booked as an opening act at many small independents such as Hecklers, Spikey Mike's and Kings Head Crouch End (weekends). In addition to his residencies Gary has emceed Lee Hurst's Fym Fyg (Saturdays), Comedy Cafe (weekend), Headliners, Covent Garden Comedy Club and Kings Head Crouch End (Thursdays). Gary is booked back for weekend open spot 10's at The Comedy Store, Jongleurs and Komedia. "A seasoned gag-smith with a sharp eye for the absurdities of family life". Bruce Dessau- Evening Standard. "Highly inventive and very funny" (Frank Skinner). "Laugh out loud... not much in this hour misses the mark"- Copstick, The Scotsman. "Gary Colman has an apparently slower and more deliberate approach, but this Geordie comic has a complete command of every second of his performance. Every seemingly wide-eyed comment on his life and family has a wickedly funny bite: and he knows exactly how to make use of Geordie stereotypes to wrong foot an audience. Great stuff." 4 stars Venue Magazine -Bath Comedy Festival.